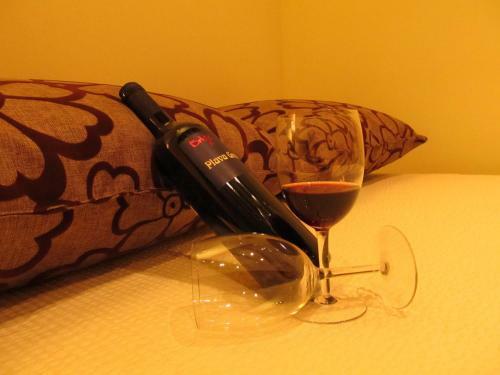 Please inform Bed and breakfast Trogir Proto in advance of your expected arrival time. You can use the Special Requests box when booking, or contact the property directly with the contact details provided in your confirmation. Apartment Trogir Proto ~0.1 km, Trogir Please inform Bed and breakfast Trogir Proto in advance of your expected arrival time. You can use the Special Requests box when booking, or contact the property directly with the contact details provided in your confirmation. 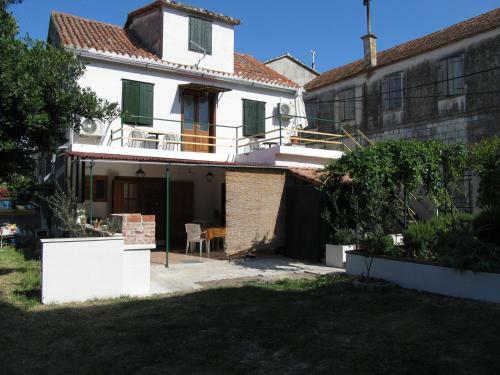 Guest house Exalto ~0.1 km, Trogir price per day from € 60 Refurbished in 2013, this old-fashioned stone house from the 18th century presents air-cooled rooms and studios with free internet access and LCD satellite television. 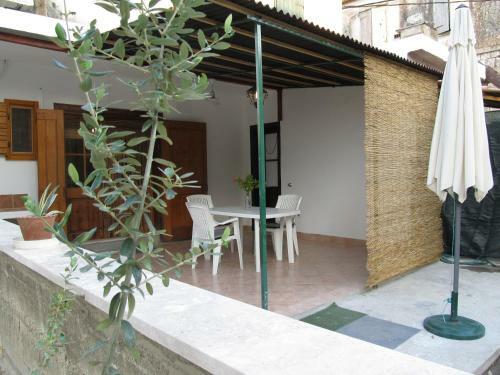 It is 200 metres from the UNESCO-protected Trogir and 300 metres from the closest beach. Visitors can sit back on the shared patio in the courtyard and use the free grill amenities. You can shop for groceries just 20 metres away. A tiny boat terminal is also close to the bed and breakfast. 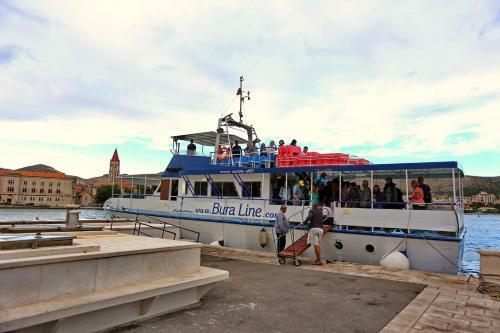 Local boat owners offer connects to other beaches on Čiovo Island, as well as to the town of Split and the islands of Drvenik and Šolta. Split Flight terminal is just 3 kilometers away. 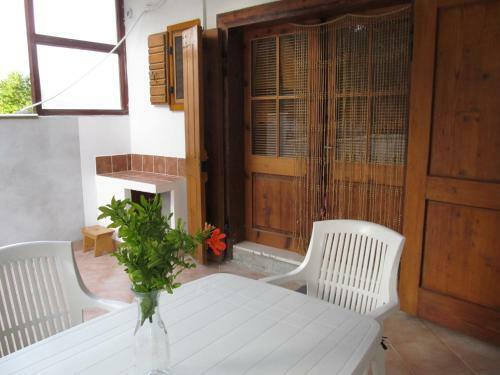 Apartment Franka ~0,1 km, Trogir price per day from € 47 This apartment in Trogir is just a 3-minute walk from the beach and a 5-minute walk from the city centre. It includes a seating area with TV and a well-equipped kitchen with a dining table. 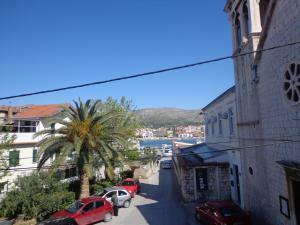 Apartment Franka is 400 metres from the Trogir Green Market and St. It is 500 metres from Trogir Harbour and 4 km from Split Flight terminal. 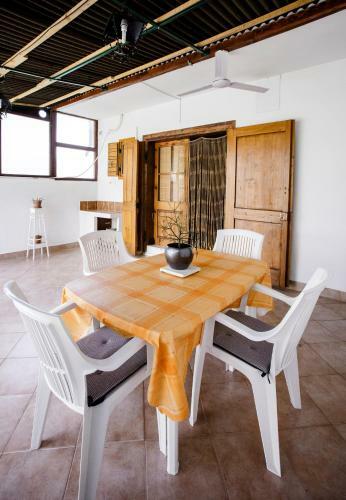 Dinka apartment ~0.1 km, Trogir price per day from € 55 Situated 300 metres from the beach in Trogir, Dinka Apartment is an air-cooled and soundproofed studio apartment set in backyards. The private toilet comes with a hairdryer and free toiletries. There is also a refrigerator, microwave and coffee maker. Seget Donji ( ~ 1.7 km ): 108+ apartments, 94+ villas, 2+ hotels. Arbanija ( ~ 3.1 km ): 388+ apartments. Okrug Gornji ( ~ 3.2 km ): 785+ apartments. Seget Vranjica ( ~ 5.6 km ): 255+ apartments. Slatine ( ~ 6.6 km ): 251+ accommodation units. Vrsine ( ~ 8.7 km ): 8+ villas/holiday houses. Beach Pantan, Trogir ~ 0,5 km from Apartment Trogir Proto Sandy beach: ideal for families, with caffe bar, equipped with showers. Beach Medena, Seget Donji ~ 2,8 km from Apartment Trogir Proto Gravel beach: ideal for families, recommended for young people, with restaurant, with caffe bar. Excellent choice of watersports. Beach Mavarstica, Okrug Gornji ~ 2,8 km from Apartment Trogir Proto Sandy beach: ideal for families, recommended for young people. Beach Okrug Gornji, Ciovo ~ 3,3 km from Apartment Trogir Proto Sandy beach: ideal for families, recommended for young people, with restaurant, with caffe bar, equipped with showers. Excellent choice of watersports. Beach Kava, Slatine ~ 10 km from Apartment Trogir Proto Gravel beach: ideal for families, with restaurant, with caffe bar. Restaurant Sv Dominik, Trogir Guest reviews: 9,2/10 ~ 2,6 km from Apartment Trogir Proto Address: Blazenog Augustina Kazotica 1, 21220, Trogir. Cuisine: Croatian cuisine. Restaurant Mediteraneo, Trogir Guest reviews: 8,5/10 ~ 0,5 km from Apartment Trogir Proto Address: Ulica Kralja Tomislava 70, Trogir. Cuisine: Croatian cuisine. Restaurant Kristian Pizza, Trogir Guest reviews: 9,1/10 ~ 2,5 km from Apartment Trogir Proto Address: Bl. Augustina Kazotica 6a, Trogir. Cuisine: Pizza. Restaurant Piccolo Ponte, Trogir Guest reviews: 10/10 ~ 2,1 km from Apartment Trogir Proto Address: Vukovarska 9, 21220, Trogir. Cuisine: Pizza & Pasta, Grill. Restaurant Kamerlengo, Trogir Guest reviews: 7,6/10 ~ 2,1 km from Apartment Trogir Proto Address: Vukovarska 2, 21220, Trogir. Prices: 6 HRK - 6 HRK. Cuisine: Croatian cuisine.